Brooding Hero, Endearing Hero, Endearing Heroine, Favorites, Historical, Random House Publishing Group, Review, Suspense, Tepid! 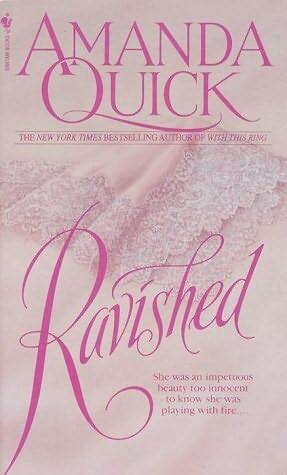 This is one of the best historical romances from Ms. Quick I have had the fortune to come across. Never a boring moment in the story of how Harriet, the daughter of the late Reverend teaches the “The Beast of Blackthorne Hall” to love and be loved again. Gideon is a man who has been haunted by scandal for far too long. Being accused of impregnating the previous Reverend’s daughter and driving her to commit suicide after Gideon apparently ruined her and refused to marry her, a wake of scandal has followed Gideon everywhere he goes. And a hideous scar on his cheek certainly makes him befitting of the title “Beast” with all the rumors floating around. Harriet when she summons Gideon, has no idea of what she has summoned exactly to her home. Nor does she care about all the rumors when Ms. Stone her housekeeper tells of the grisly events in hushed tones warning Harriet and her sister Felicity to avoid Gideon at all costs. However, Harriet is a woman on a mission. Having an avid interest in fossils and the likes, she is impatient to rid the caves surrounding her home of the thieves who have been storing their loot exactly where Harriet goes on her discovery expeditions. Summoning Gideon, the owner of the lands seemed to be the only viable way to concoct a plan to get rid of the band of thieves once and for all. Though Harriet doesn’t want to admit it, her 25 year old heart skips a beat every time she is around Gideon. Though everyone warns her to keep away from the man circumstances mostly of Harriet’s doing land these two in a compromising position that leads Gideon to offer for her hand in marriage as he is honor bound to do under the circumstances. With everyone from the dwellers in the village to the ton in London rife with speculation on when Gideon would turn his back on his betrothed and the Harriet would be cast out of the polite society makes this book highly entertaining. I liked the fact that Ms. Quick doesn’t waste time on describing the frivolities of the London society which most of the time makes me snooze, but rather created a depth of detail on her characters so vivid that I loved Harriet right from the beginning. Gideon proves everyone in the society wrong when he marries Harriet in a manner unlike that you see in most historical romances, and whilst the relationship between Gideon and Harriet continues to blossom, so does the story of how certain forces within the society works in adverse ways to make sure Gideon takes the fall again, and thus unfolds the story of what truly took place 6 years back. Highly entertaining with a good dose of old fashioned romance for which as a reader, I couldn’t ask for more.